Montessori Society AMI (UK) - What is the AMI? 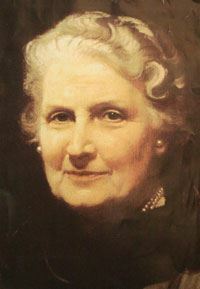 The Association Montessori Internationale (AMI) was founded in 1929 by Dr. Maria Montessori to maintain the integrity of her life’s work, and to ensure that it would be perpetuated after her death. AMI is the recognised international authority on Montessori education and directs studies in affiliated teacher-training institutions around the world. During its long history AMI has fostered the growth and development of Montessori education practices and standards through work with member schools, teachers and educators. Regular study conferences of AMI have served as important milestones in the exchange of insights which have grown out of the application of Montessori to widely differing lands and cultures. 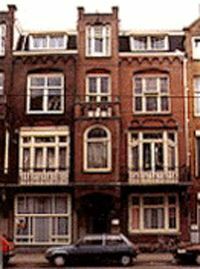 The Head Office of the Association Montessori Internationale is located in Amsterdam. The building, which houses the AMI Secretariat, was acquired by Dr. Maria Montessori and Mario Montessori, they lived and worked there until their respective deaths in 1952 and 1982. The house now preserves all traces of their work, documents, books, published and unpublished lectures.The building also features Dr. Montessori's study, a materials room and an archival library.